Coach Michael Boone has announced details of the upcoming youth soccer camp. The camp sessions are designed to give players the necessary tools to improve their game, both individually and for their team. Emphasis will be placed on enhancing a player’s skills and teaching them to use those skills to help their performance on the field. 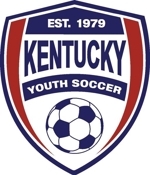 Youth Federation coaching licenses and has coached multiple Marshall County Soccer Association teams in the past. Coach Abby Ealey is starting her fifth year as an assistant coach after playing varsity soccer all four years of her high school career. Coach Ealey was an All-District, All-Region and All– State player during high school and is in the top 5 in multiple categories on the Lady Marshals All-Time list. The Lady Marshal soccer team has won 11 straight district championships, 14 straight regional championships and has four Final 4 appearances in their 18 years of existence. The team has also raised over $10,000 for multiple sclerosis and supports the county Toys for K ids every Christmas. Campers should wear shorts and a comfortable t-shirt, tennis shoes or soccer cleats, shin guards and a ball with their name on it. If you have any further questions about this camp, please contact Coach Boone via email.